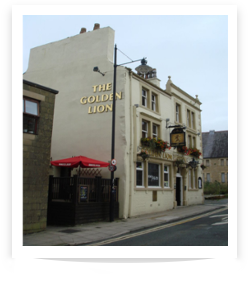 A warm welcome to the Golden Lion, a traditional historic English pub in Lancaster. Within walking distance from the city centre, our establishment is the ideal place to enjoy a drink away from the hustle and bustle. We are situated next door to the Dukes Playhouse and we are just 2 minutes away from The Grand Theatre. For the keen ale drinker, you’ll find a wide selection of both local and national cask ales on our six hand pumps and a range of favourites including Amstel, Kronenbourg, Fosters, Sagres, Leffe Blonde and Budvar. 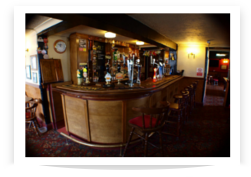 On visitng the Golden Lion we would like to think that we can offer something for everyone, be it a warm friendly welcome, watching live sport on one of our three large screens, watching one of the many live bands we have playing or participating in our long running and well established Open Mic Night. 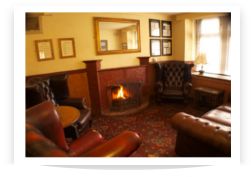 It may be that you want to sit down and read the days paper by our large open fire palce and relax. Whatever it is, we are sure we can accommodate you. Visit our Lancaster pub today to see why we’re the local of choice or call us on 01542 842 198 for more information on our events.